Delray Beach irrigation systems Archives - Bob Irsay Irrigation Design, Inc.
Bob Irsay Irrigation Design, Inc.
Bob Irsay Irrigation Design can handle all of your irrigation needs, from design to installation, maintenance to service. Call us today at (561) 734-3997. Palm Beach irrigation system needs. We provide service, installation, maintenance and irrigation installation to customers throughout South Florida. Serving the area for nearly three decades, Bob Irsay Irrigation Design has earned praise and a solid reputation for its honesty and the quality of its work. 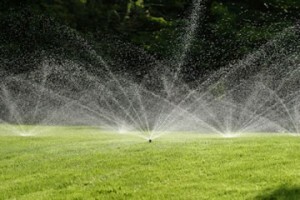 We provide timely, professional and straightforward irrigation services to residential and commercial customers across Palm Beach County and Broward County. We install high-quality, water-efficient irrigation systems. Contact us for a free quote on your next Palm Beach irrigation project, West Palm Beach irrigation project, Delray Beach irrigation project, or Boynton Beach irrigation project. We install excellent Delray Beach irrigation systems, Boynton Beach irrigation systems, Lake Worth irrigation systems, Boca Raton irrigation systems and Palm Beach irrigation systems. If you’re having problems with your West Palm Beach sprinkler system or your Boca Raton sprinkler system, or you’re looking for a reputable company to check out your West Palm Beach sprinklers or your Boca Raton sprinklers, call us today. We’ll get your sprinkler system running properly, and make suggestions on ways you can upgrade your system. We also offer professional service when you’re having problems with your sprinkler pump. We can repair your Delray Beach sprinkler pump, Boynton Beach sprinkler pump, Palm Beach sprinkler pump, Lake Worth sprinkler pump, or your Boca Raton sprinkler pump. This entry was posted in Boca Raton Irrigation Systems, Boca Raton Sprinkler System, Boca Raton Sprinklers, Boynton Beach Irrigation, Boynton Beach Irrigation Systems, Delray Beach Irrigation, Delray Beach Irrigation Systems, Lake Worth Irrigation Systems, Lake Worth Sprinkler Pump, Palm Beach Irrigation, Palm Beach Irrigation Systems, Palm Beach Sprinkler, West Palm Beach Irrigation, West Palm Beach Irrigation System, West Palm Beach Sprinkler, West Palm Beach Sprinkler System, West Palm Beach Sprinklers and tagged Boca Raton irrigation systems, Boca Raton sprinkler pump, Boca Raton sprinkler system, Boca Raton sprinklers, Boynton Beach irrigation, Boynton Beach irrigation systems, Boynton Beach sprinkler pump, Delray Beach irrigation, Delray Beach irrigation systems, Delray Beach sprinkler pump, Lake Worth irrigation systems, Lake Worth sprinkler pump, Palm Beach irrigation, Palm Beach irrigation systems, Palm Beach sprinkler pump, sprinklers West Palm Beach, West Palm Beach irrigation, West Palm Beach irrigation system, West Palm Beach sprinkler system, West Palm Beach sprinklers on 04/26/2012 by jason. Contact us today for a free estimate on commercial or residential sprinkler installations.